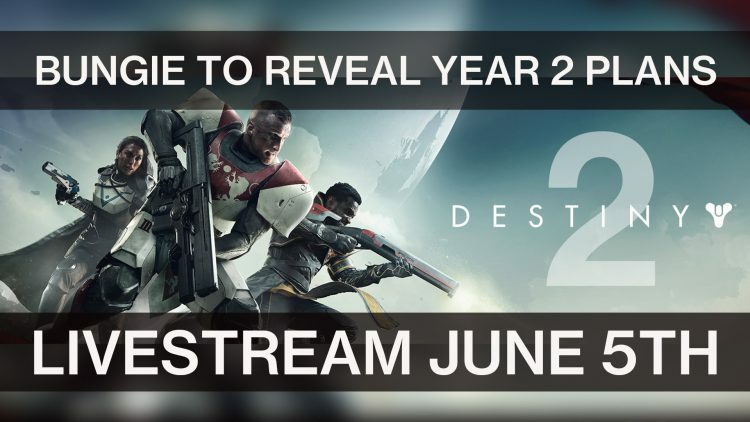 Next week Bungie will be taking the leap to share what they have planned for Destiny 2 in Year 2. In an official livestream they show what to expect from the game. More content is on the way for Destiny 2 after being released at the end of last year, Bungie are set to be sharing some new upcoming reveals. The livestream will take place next week on Tuesday, June 5th am PT on the official Twitch channel. Destiny 2 has already had some new content, with the new Warmind expansion that hit early last month. But now we’ll get a closer look into what Bungie have been working on and what will be released throughout next year. There could be new content in terms of Strikes, Raids or PvP content but it wouldn’t be all too surprising if they were to show off their next major expansion for Destiny 2 which is expected to arrive in the fall. Destiny 2 is now available for PS4, Xbox One and PC. If you missed some Destiny 2 news be sure to catch up with some of it here in Destiny 2 Players Able To Unlock Cosmetics More Easily In Season 3 and Destiny 2 Plans For Exotic Weapon Upgrades. You can also check out the Destiny 2 wiki for all your Destiny 2 needs.